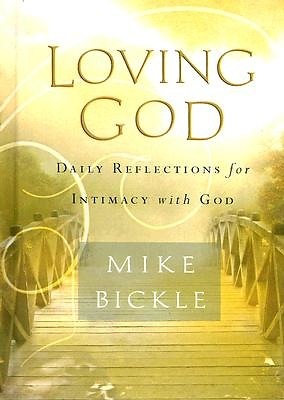 Loving GodBy Mike Bickle This daily inspirational devotional is created from excerpts of four of Bickle's best-loved books: Passion for Jesus, After God's Own Heart, The Pleasures of Loving God, and Growing in the Prophetic. Each day provides a Scripture verse, an inspirational reading, and a prayer starter. Loving God will help readers to understand the depth of God's love for them, moving them into a deeper, more intimate relationship with Him. These daily "love notes" from God to the reader, written in Bickle's warm, passionate style, are treasures to encourage every reader's daily life.